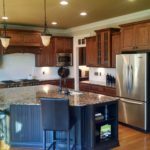 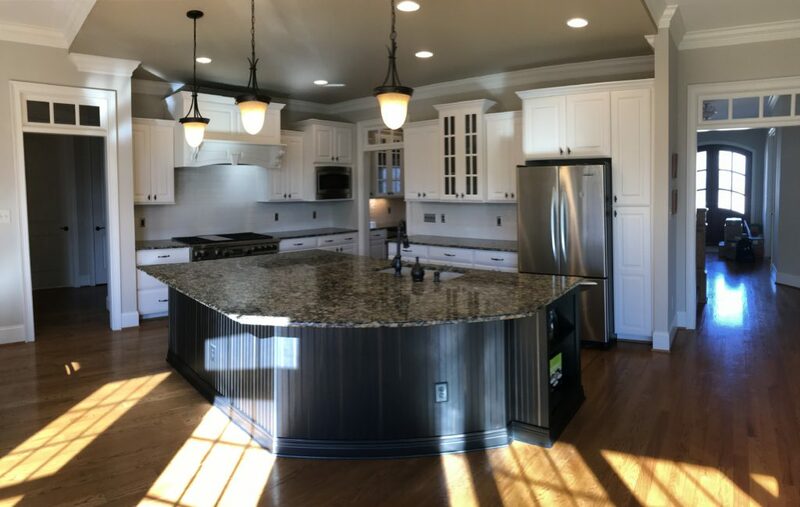 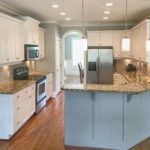 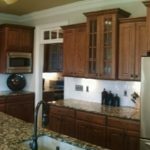 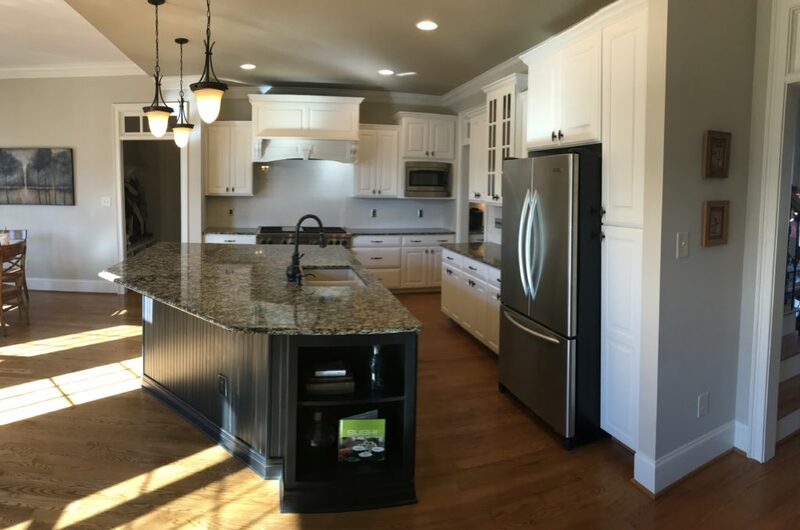 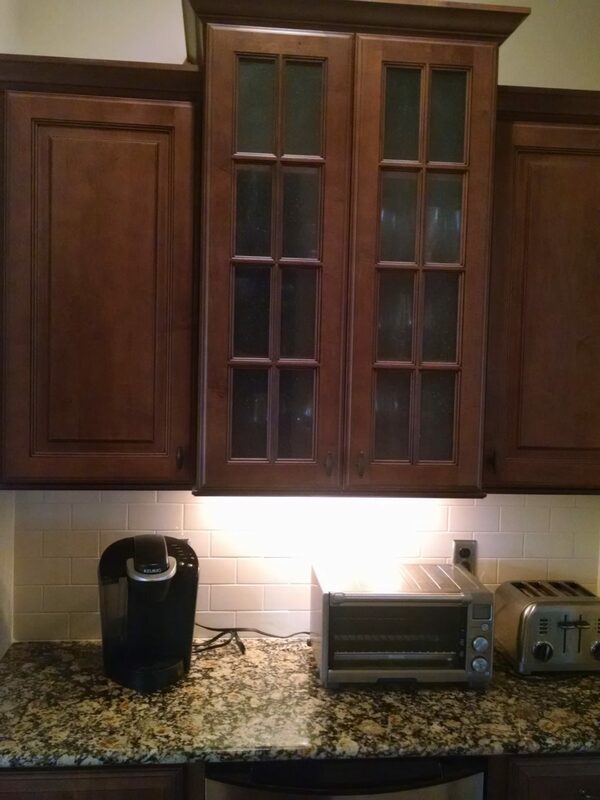 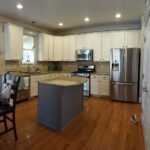 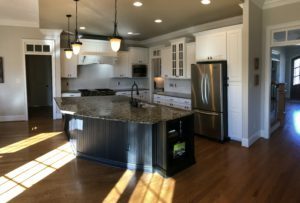 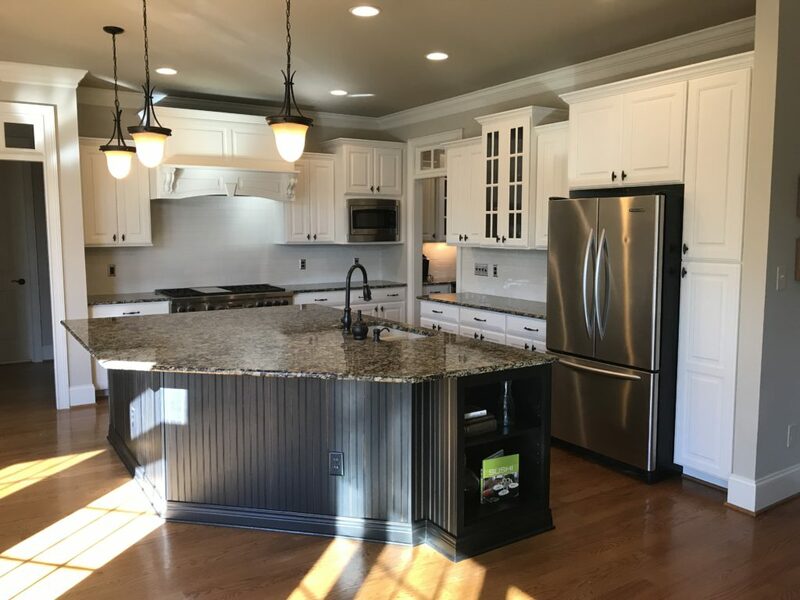 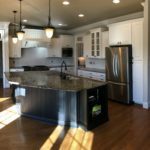 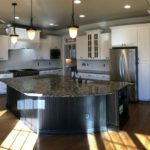 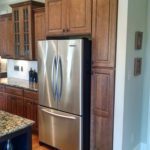 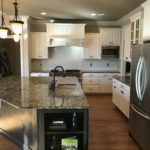 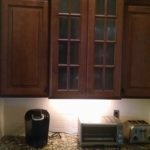 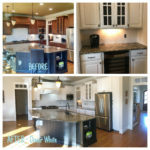 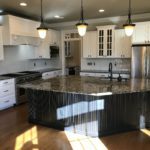 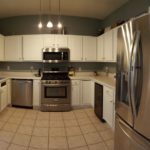 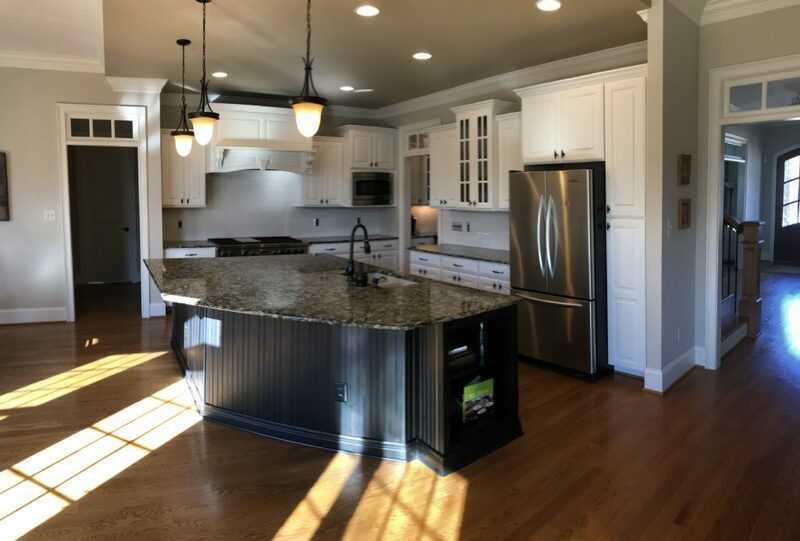 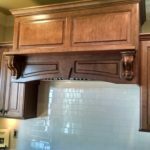 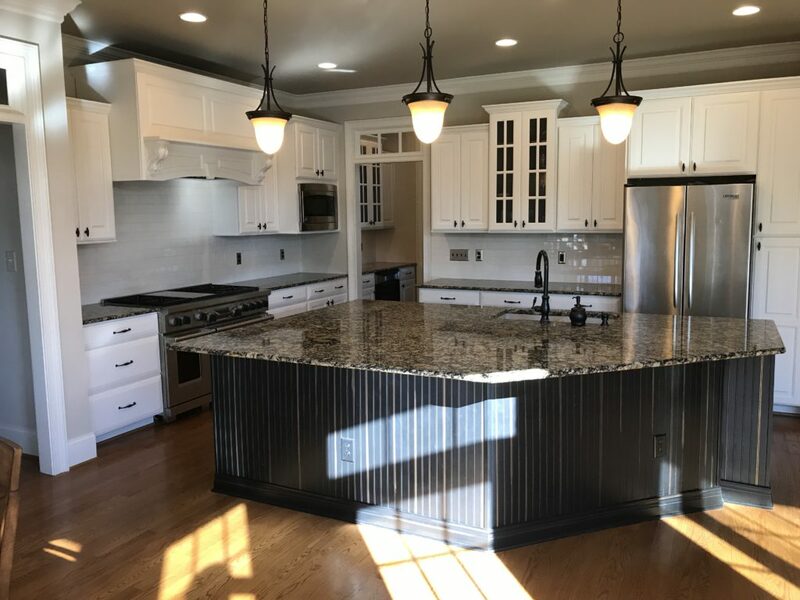 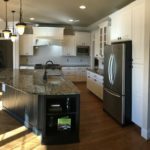 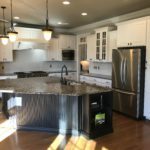 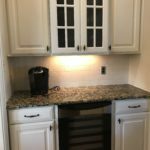 Our homeowners had previously listed their home for sale and one of the comments that had been often repeated was that the kitchen was dark and dreary. 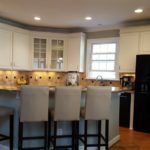 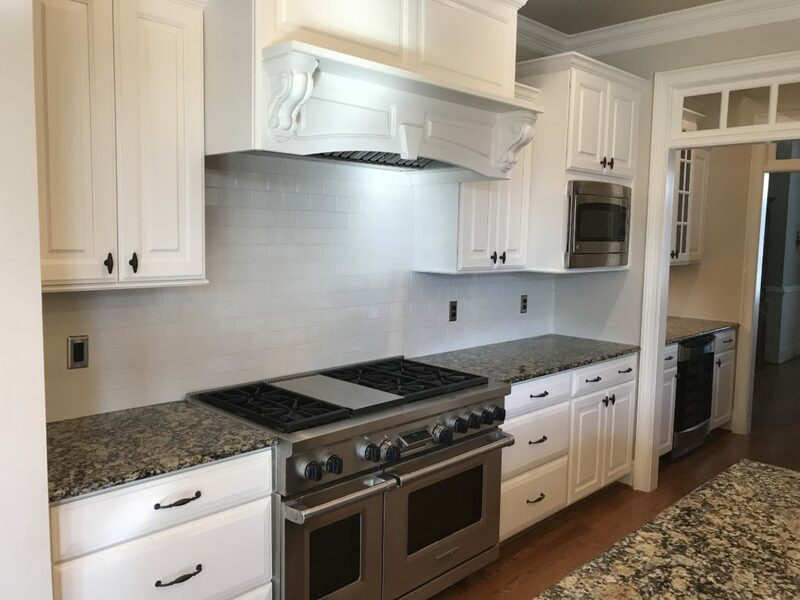 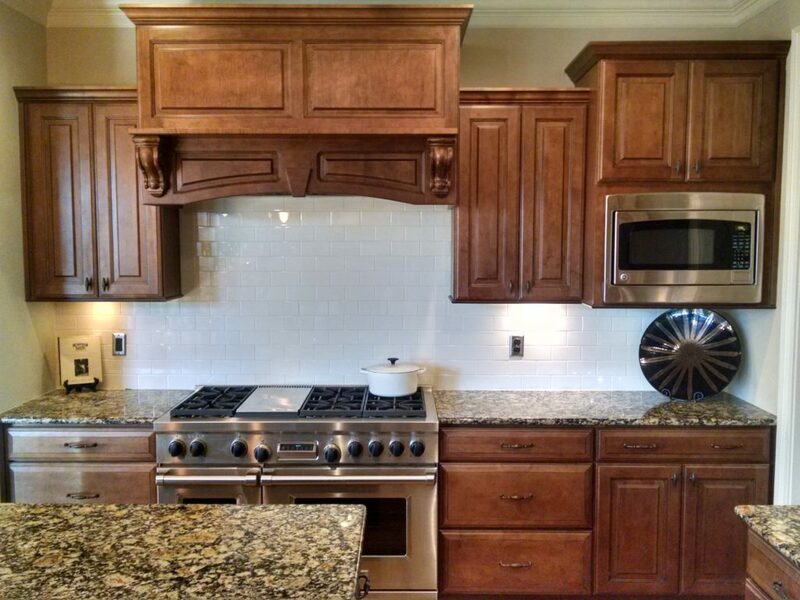 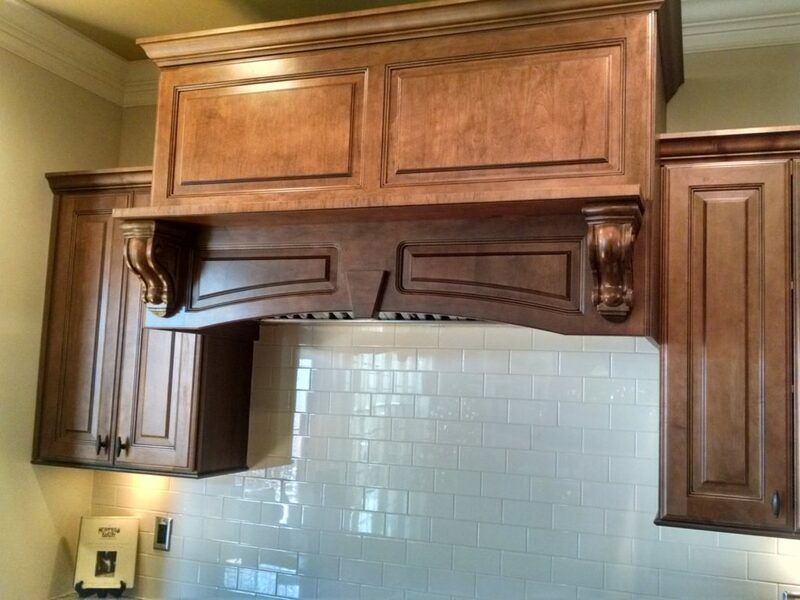 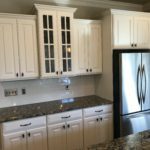 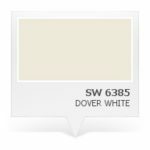 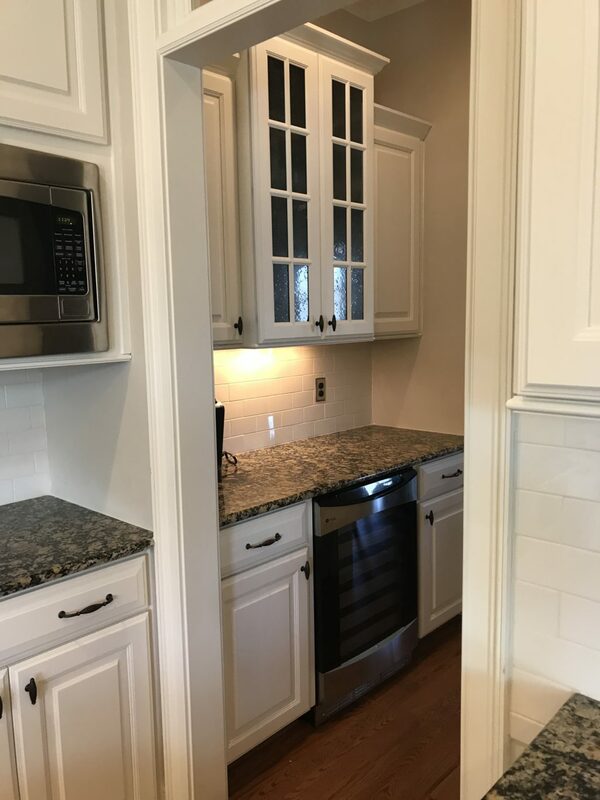 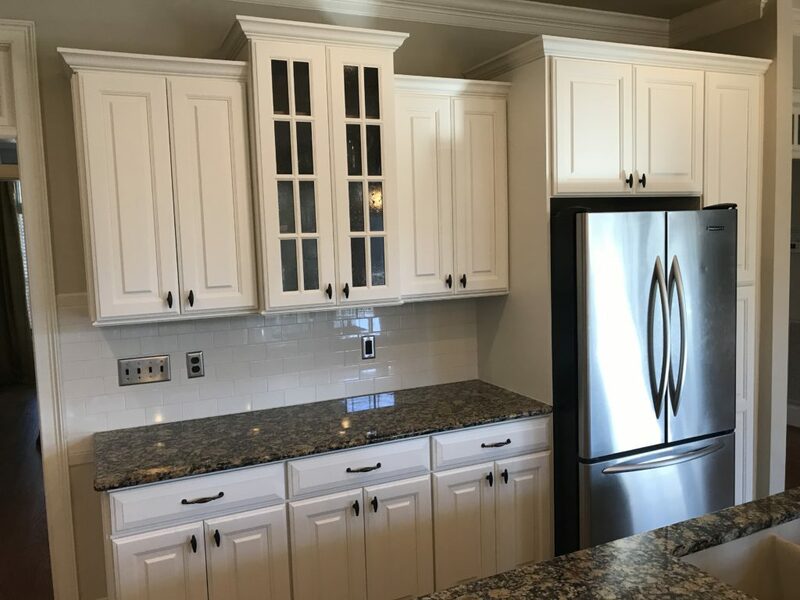 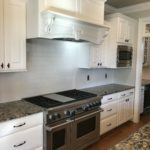 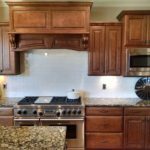 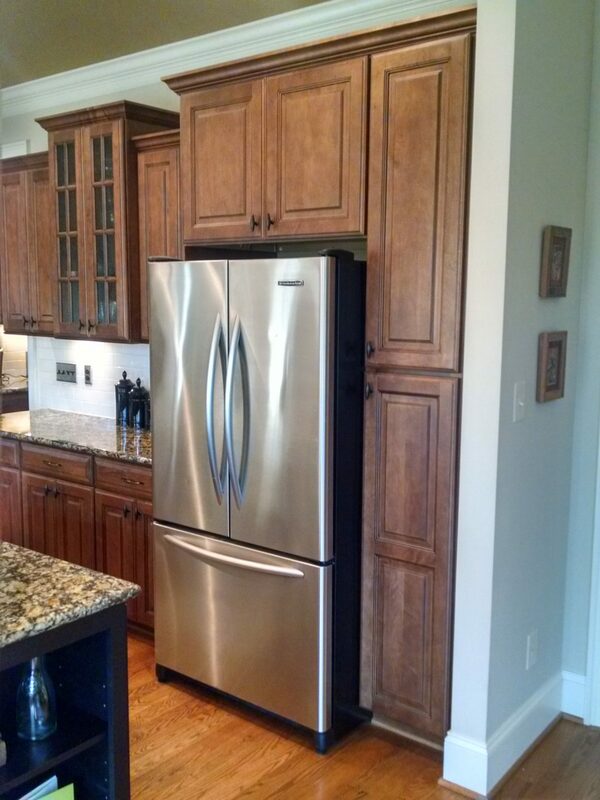 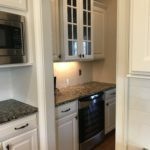 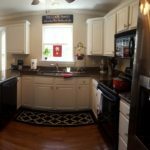 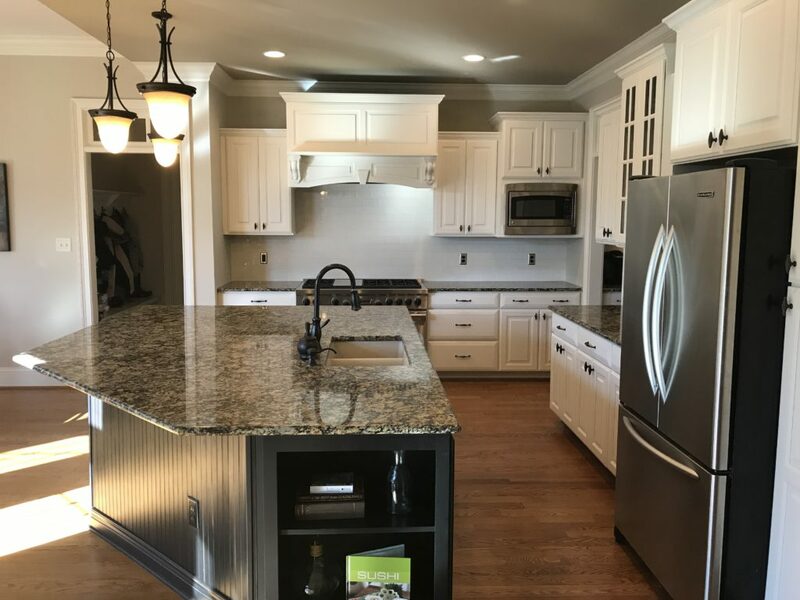 Using Sherwin Williams Dover White, which was an excellent match to both their trim work and backsplash tiles, not only lightened up the space but also made it feel much more inviting. 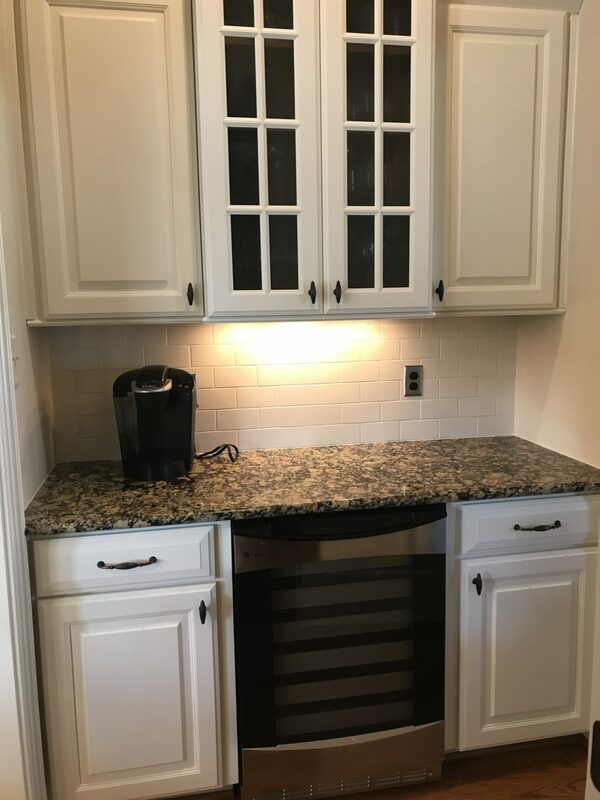 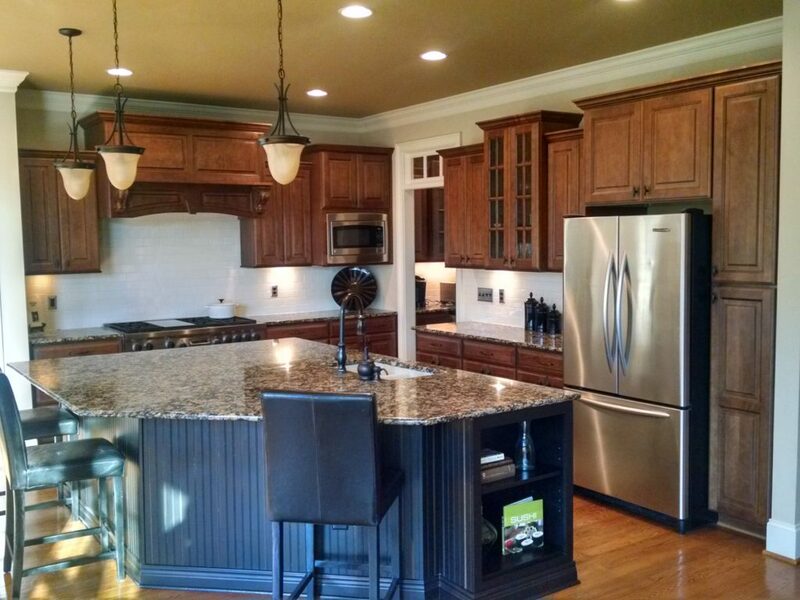 Keeping the island dark is a great way to add some contrast.